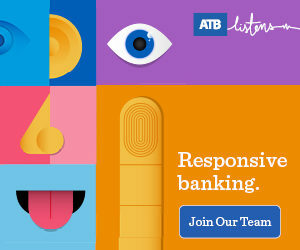 ATB’s Alexandra Nuth shares how her team created a new digital banking experience—Brightside—from scratch, by rewriting rules and finding out what customers truly want from banking. Alexandra Nuth, managing director, Brightside. ATB’s new digital banking offering, called Brightside, is set to launch within months. 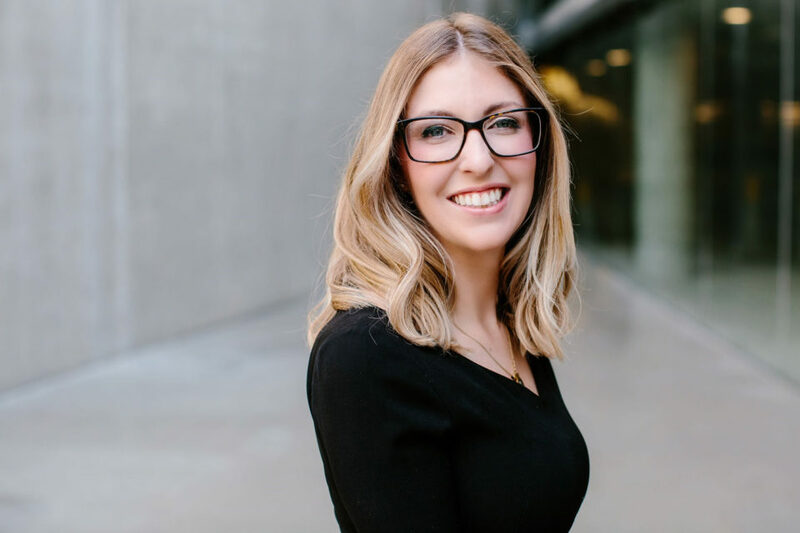 To create this exciting new venture, the team behind Brightside, led by Alexandra Nuth, Katie Peperkorn and Trudi Chalmers, spent more than a year studying what digitally savvy Albertans truly want from banking. Nuth, who has served as initiative lead from day one, says the offering is a thorough departure from traditional banking, unlike anything currently available to Albertans. The desire to stay true to ATB’s story, while moving away from the traditional came straight from the top. President and CEO Curtis Stange and Chief Transformation Officer Wellington Holbrook paved the way for this nimble team to challenge the status quo within banking and within ATB. With Brightside’s arrival just around the corner, we sit down with Nuth as she shares insights from the team on how to go about designing innovative Customer Experience (CX) for the digital age. Here are her four top tips. Nuth says one of the primary goals when creating Brightside was to make banking a digital-first experience, much like Uber or Google. But her team also quickly realized that keeping the customer’s needs ahead of any desire to integrate the latest tech was crucial to designing innovative CX. “We really tried to stay focused on solving problems for people before worrying about whether the app would work with Alexa,” Nuth says. Her team would engage groups of 10 to 15 ATB and non-ATB customers weekly to walk through every aspect of the Brightside CX. These customers helped shape the path of Brightside’s development from “blue sky” research—customers’ ideas and thoughts on broad banking topics—to pricing and usability and product testing. Setting out to reinvent banking CX opened the doors to vast opportunities for improvement, but Nuth says focusing on too many areas at once could have stalled Brightside’s development. “We’ve tried to be really diligent in minimizing scope and doing a couple things really well so that we nail it and deliver the CX a lot more effectively,” she says. The need for simplicity is also at the crux of every functional area of the Brightside offering. Nuth says pricing for Brightside, for example, was partially informed by going into “a deep rabbit hole” of a competitor’s pricing structure. Take the algorithms, apps and complex budgeting out of the digital banking CX and you’re left with a very emotional experience that should never be overlooked, Nuth says. Nuth says her team set out to design Brightside’s first product, a set of features that comes together to help people build savings habits, by understanding customers as they are, not as banks often want them to be. “We did a lot of customer research and we found that money is really emotional and really personal, and that people can do really irrational and crazy things with their money,” she says. To help customers navigate the emotional side of savings, Brightside allows them to quickly create any number of savings accounts, name them (new car, trip to Spain) and move money in and out seamlessly. One of the easiest ways customers will be able to discover savings is by using a feature called Round Ups, which allows them to save a little money every time they make a purchase. Customers can also hide the balance of an account from their Brightside home view if they are someone who is easily tempted to spend their savings. And Brightside will also “nudge” users on occasion to make sure the savings strategy is still working for them. With a good understanding of the emotional motivations behind customers’ decisions, Nuth says her team designed fun and engaging CX “Easter eggs” for Brightside users to help them achieve their short and long-term goals. The team borrowed from Fitbit, for example, allowing users to design their own savings challenges. Brightside will also be introducing a new type of Mastercard. It will offer all the traditional benefits of a credit card, including online purchases and rewards, but without actual credit. Instead, the card itself will be connected directly to a Brightside spending account to allow customers to only spend up to the amount they have in their account. Learn about how you can be one of the first to experience Brightside by visiting hibrightside.ca. To learn more about ATB’s transformation journey and the projects referenced here, visit atbalphabeta.com. 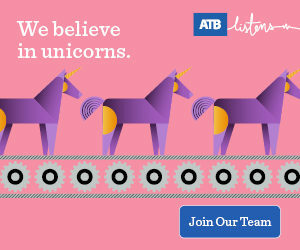 To join our team in delivering best in class CX, apply today at atb.com/careers. 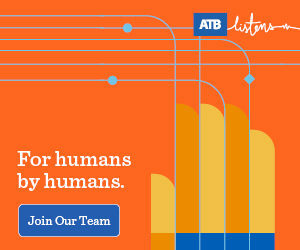 At ATB Financial, we’re on a mission to transform banking. We’re bringing together world-class talent to focus on future-looking solutions that will make banking work for people. Visit ATB alphaBeta to learn more about ATB’s innovation and transformation journey. This content was produced for the advertiser by RedPoint Media for commercial purposes. It is not written by and does not necessarily reflect the views of Avenue staff.